The first Google Assistant-powered headphones appeared last year, and now JBL is entering the market too. 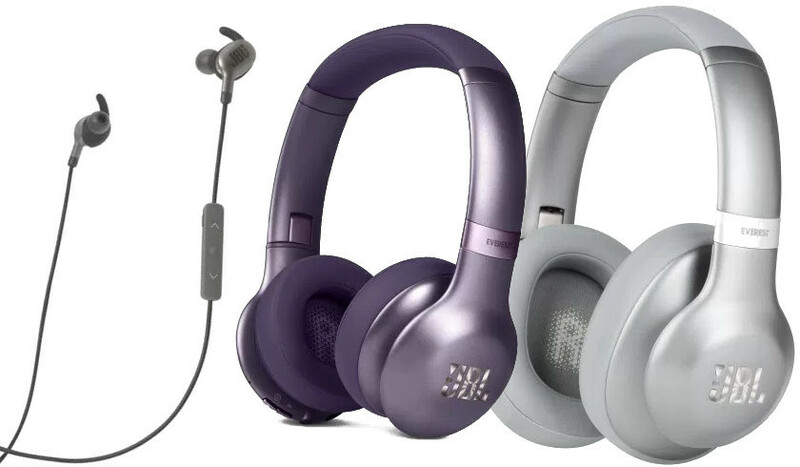 The company has just launched a new range of over-ear and in-ear headphones that feature Google Assistant — the Everest 710GA, 310GA and 110GA. All three are entirely wireless, boasting a Bluetooth 4.1 connection to your smartphone, tablet, or music player. You’ll get the longest battery life out of the around-ear 710GA model, which boasts up to 25 hours of playback time. The 710GA comes in your choice of gunmetal and mountain silver colors, features a foldable design, and also comes with a hard carry case. Moving down the range we arrive at the over-ear 310GA, offering up to 20 hours of playback time and boasting a slightly less bulky design that the 710GA. This model offers a few more color options too, including gunmetal, mountain silver, copper brown, and rocky purple. Both of these over-ear models feature a sensor on the ear cup that enables Google Assistant. From there, the wearer can skip tracks, adjust volume, start playlists, set reminders, and do pretty much everything else in the smart assistant’s repertoire. If you’re more of a fan of in-ear headphones, then the JBL Everest 110GA has you covered with up to 8 hours of battery life — longer than Google’s Pixel Buds. There are similar colors on offer here too, with gunmetal, mountain silver, and steel blue options available. The 100GA comes with more conventional hard keys to adjust volume and a button to active Google Assistant, which some may prefer. The 710HA is the most expensive model at $249.95, followed by the GA310 at $199.95, and the 110GA at $99.95. JBL’s Everest range will go on sale this Spring.